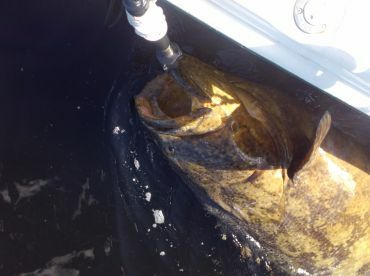 I specialize in catching BIG fish, Goliath Grouper in particular. I’ve been a USCG licensed captain since 2001, and fished Florida waters since I could walk. My best memories are of wade fishing the East coast, Indian River with my dad. He’s waist deep and I’m up to my neck dodging Sea Cows (aka Manatee) and catching Trout. 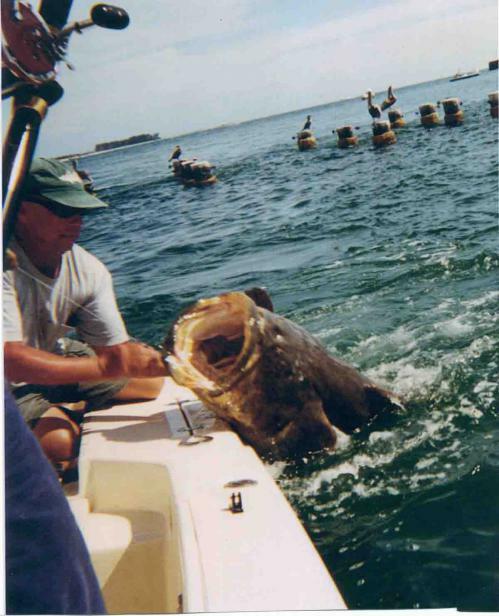 I fished as a full time guide from 2001 to 2005, perfecting the art of catching Goliath Grouper. Had an opportunity to buy a small business in my home town of Winter Haven, so I stopped full time fishing to work a business, but I was still fishing when not working. In 2013, I retired from the business world and moved to Apollo Beach, Fl. Now the boat is on a lift in the backyard, and I can fish “full time”. 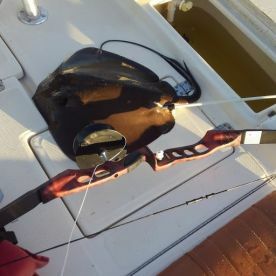 Light Tackle for Reds, Trout, and Snook. 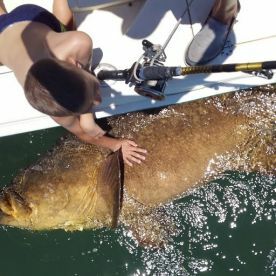 Goliath Grouper, inshore. Nothing like pulling a fish bigger then you are from 20 ft of water. Light Tackle fishing for Reds, Snook and trout, nothing like a Redfish busting a top water plug at Daylight against the mangrove tree line. 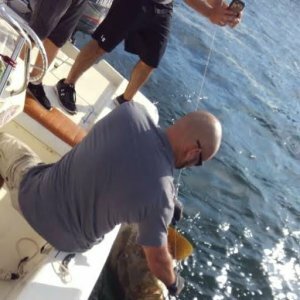 Goliath Grouper in January, WOW! The first Goliath of 2018, 6+ footer.